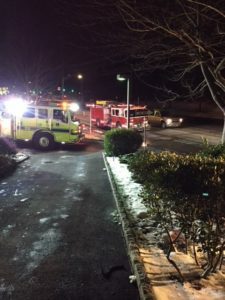 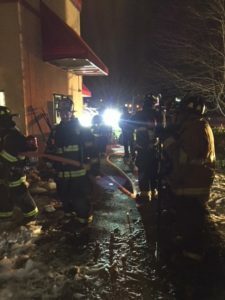 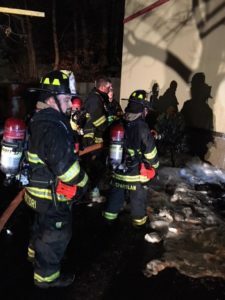 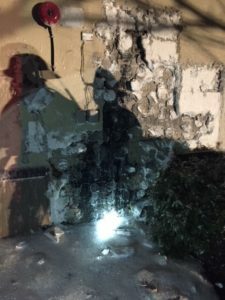 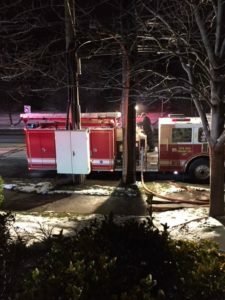 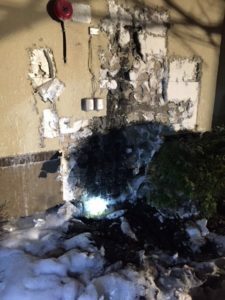 At 1756 hours, a full assignment was dispatched to Kentucky Fried Chicken, 350 Saw Mill River Road, for a possible fire on the exterior of the structure. 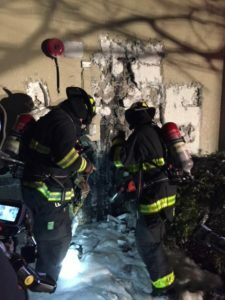 Responding units found a small fire under the siding on an exterior wall at the above address. 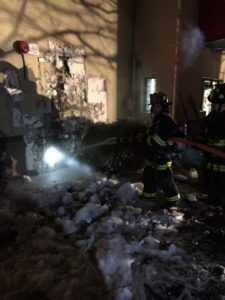 Personnel removed the siding over and around the affected area and extinguished the fire with one Class A foam line.